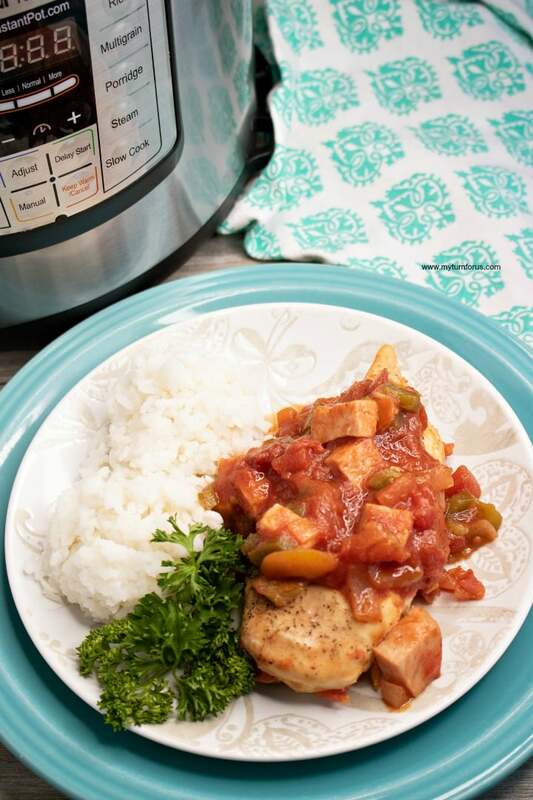 Make this easy Instant Pot Chicken Creole Recipe in less than 30 minutes. 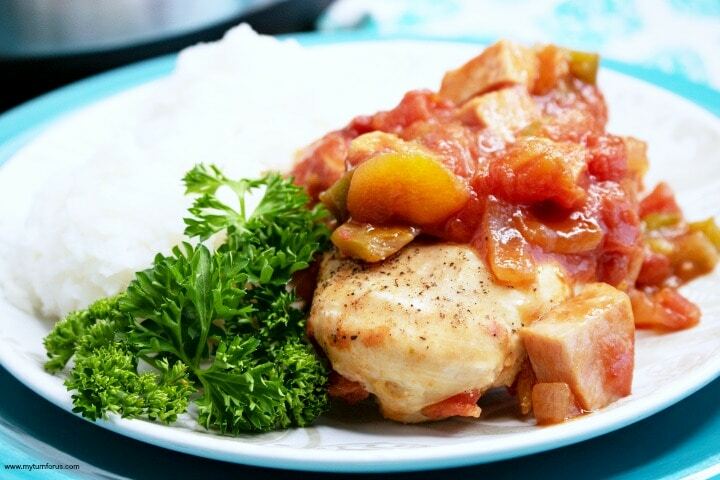 This Chicken Creole with rice makes a quick weeknight dinner. 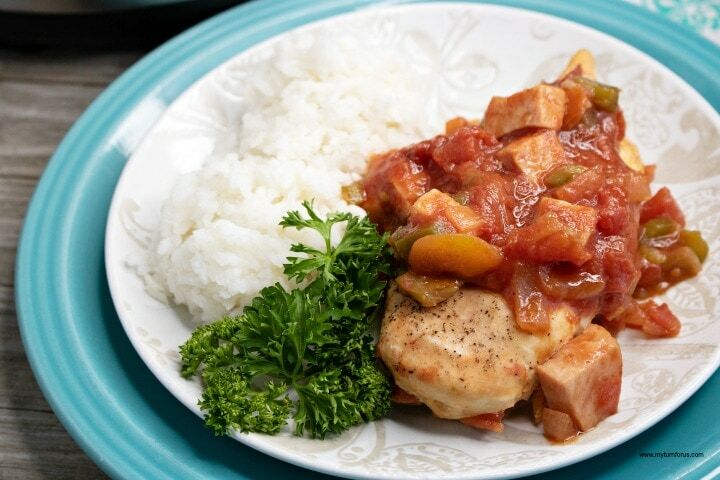 Creole Chicken is a dish that originates from Louisiana and contains a tomato-based sauce. Because it contains tomatoes, that makes it a Creole sauce and not a Cajun sauce. Yes, the main difference between Creole Cooking and Cajun Cooking is tomatoes. Also, Creole Sauce is a quick-cooking sauce which distinguishes it from becoming a spaghetti sauce. Absolutely you can make chicken creole in an instant pot and it’s amazing. Since Chicken Creole is one creole dish that does not contain a roux, it’s perfect for the instant pot. 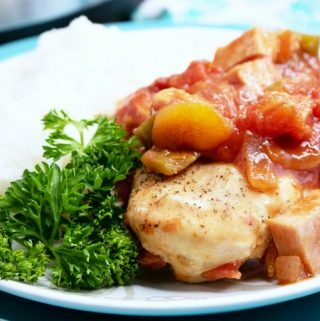 And this easy chicken creole recipe can be on the table in less than 30 minutes. 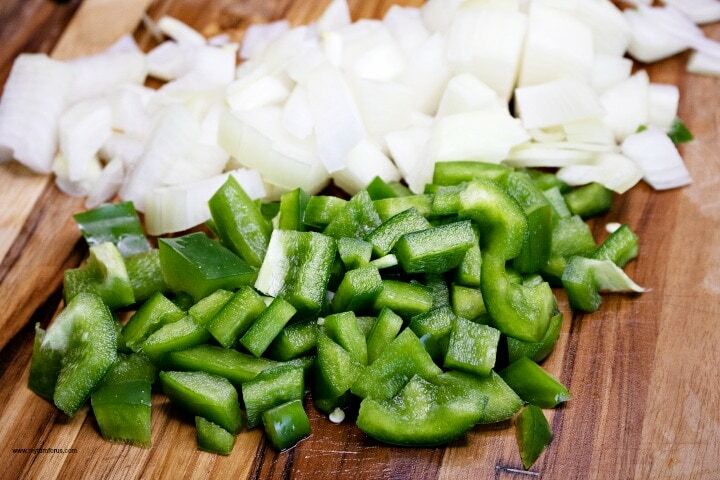 Start this chicken creole recipe by chopping one whole onion and one green bell pepper into small pieces. An inexpensive vegetable chopper makes this job quicker and easier. Chop a 7-ounce ham steak into the same size pieces. Turn instant pot on saute and add one tablespoon of vegetable oil. 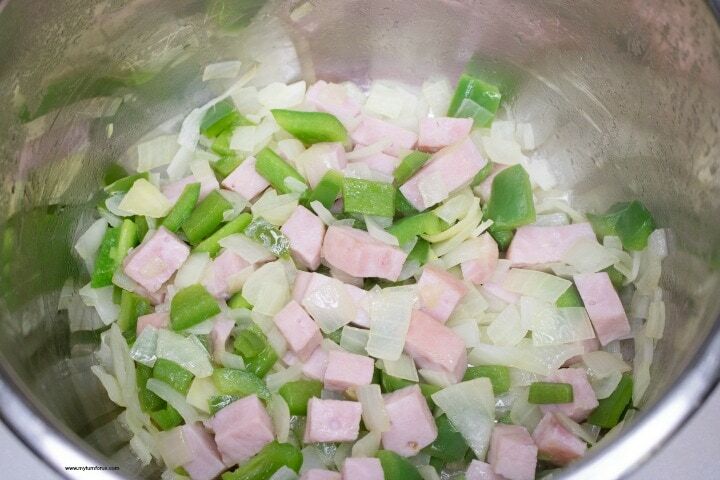 Add the mixture of chopped onions, bell pepper, and ham. Saute the onion, pepper, and ham for about five minutes until the onion begins to soften. 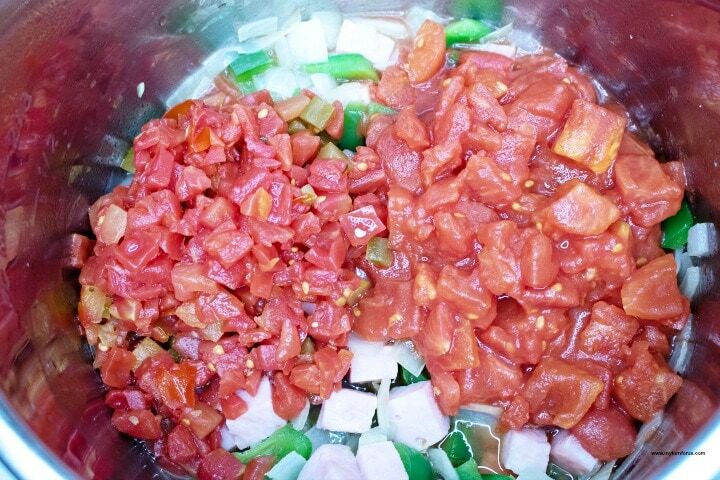 Add tomatoes, Rotel and a couple shakes of tabasco on top of the sauteed veggies and ham. 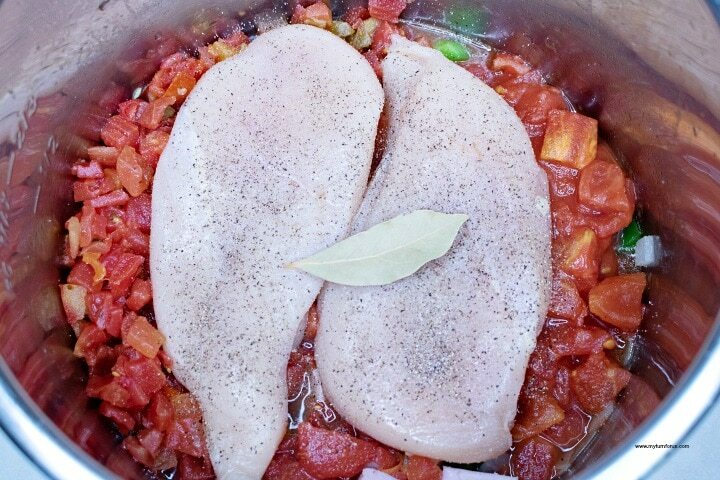 Place two chicken breasts on top of the sauteed vegetables, season with salt and pepper and top with one bay leaf. Spoon vegetable mixture over the chicken breasts. Close the lid on the Pot and turn pressure valve to sealing. Set for a manual high time of 10 minutes and allow for time to complete. 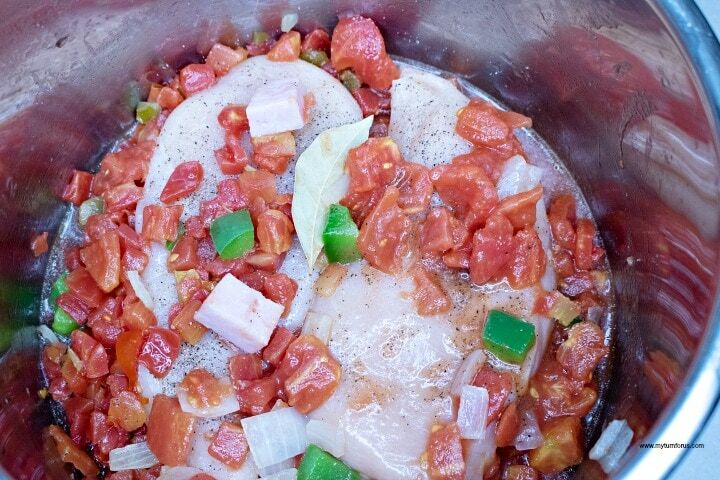 To thicken Chicken Creole add one 6-ounce can of tomato paste and stir to combine. Us a rice cooker and make rice following the instructions on the cooker. One of our favorite appliances is a rice cooker especially at times like this, the rice comes out perfect each and every time. Then serve this Chicken Creole with Rice with additional Tabasco on the side. Turn Instant Pot onto saute mode and add in vegetable oil. 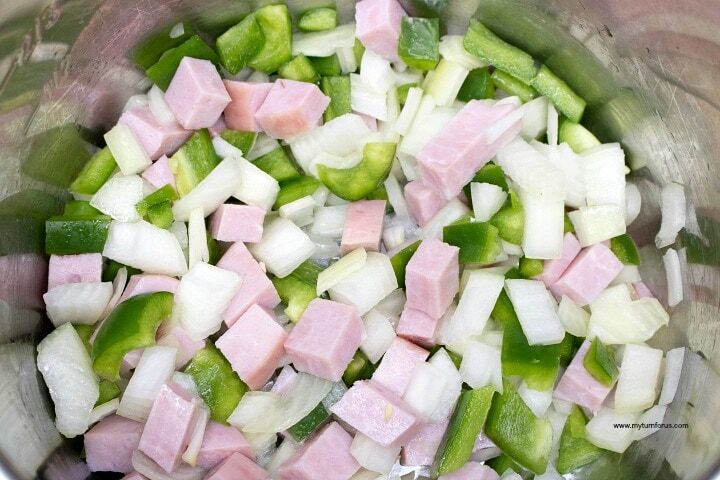 When that has heated, toss in the ham, onion, and pepper. Saute for about 5 minutes, or vegetables start to soften. Add in tomatoes, Rotel. Add chicken to the top and salt, pepper and bay leaf. Spoon some of the veggie mixture over the chicken. Close the lid on the Instant Pot and turn pressure valve to sealing. Set for a manual-high time of 10 minutes. Allow for a quick pressure release time has completed. 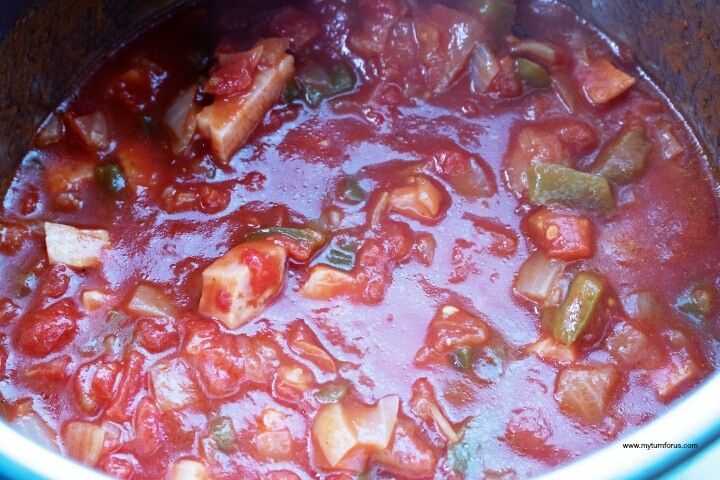 Mix in tomato paste to thicken and stir well.